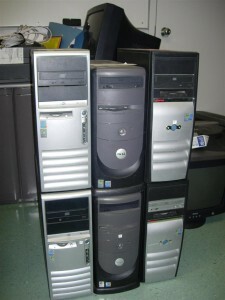 Computer donations are a way to extend the IT budget. Be careful! Not everything is FREE. You don't want to accept a donation that will COST you money. Computer donations are a great way to extend the IT budget at our school. However, there are hidden costs to the free equipment. For example, the time it takes to get them classroom ready and the agony of trying to dispose of old equipment. To make sure that a donation is useable I have a mental checklist to determine if the hardware is valuable to the school. You might think once you read this blog that I am too picky or ungrateful. I am not. I appreciate people thinking of the school community and our student needs. However, I feel responsible for the IT budget and I cannot accept a donation that will cost the school money. Yes! We would love your old computer tower. We don’t need high-end equipment. Your old technology will do as long as it runs. I have basic criteria. 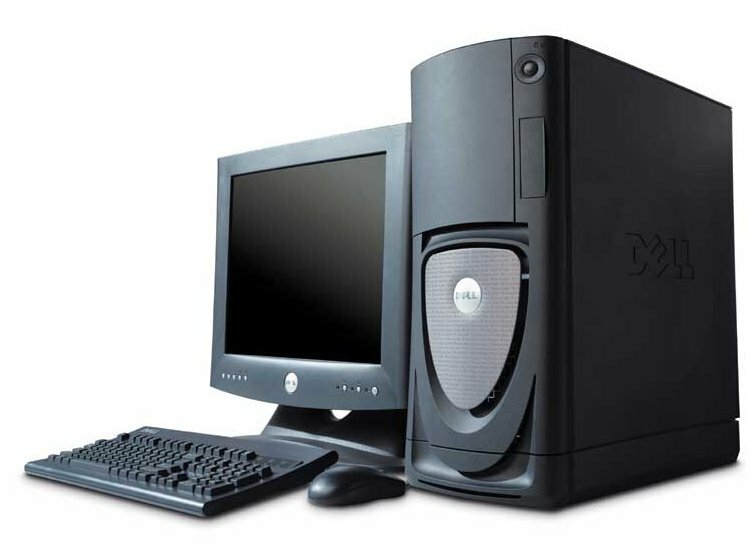 The computer has to be at least a Pentium 3, have a 2.8 GHz processor, 512 MB of RAM, and 40 GB hard drive. If it has a DVD reader or CD burner than that is a bonus. I tend to keep extra RAM sticks and 1 GB network cards on hand, so I can easily upgrade your computer to make it work well for our students and teachers. Sorry, but I cannot take your CRT monitors. The technology is too old and bulky. In addition, they are difficult to dispose of once they break. Instead, we only accept 15″ LCD flat panel monitors in working order. Your monitor does not have to have a power supply or cables. I have lots of extras. The printing needs of a school are unique. A printer needs to be a real workhorse because it prints tons of documents every day. Most home printers are not networkable and lack the capactity to print large volumes. For this reason, we cannot use most printers at the school. Moreover, ink is VERY expensive. We cannot accept ink jet printers because we cannot afford to replace the ink cartridges. The only kind of printer the school can accept is a networkable laser printer in good working order. Any other printer, costs the school too much money in upkeep. Teachers and students love to take photos of school events, field trips, and classroom projects. There are never enough to go around. It doesn’t matter about the megapixels. We don’t print any of the photos poster size, so we don’t need to have super high-quality images. However, what we do worry about is the type of battery. Older cameras eat through double AA batteries and this can get expensive. As well, often the double AA batteries do not hold a charge long enough. If a teacher is away on a trip for the entire day, they need a reliable battery that can hold a charge from the minute the students step on the school bus to the minute they arrive back safely at the school. For this reason, the camera has to have a lithium battery. In addition, the camera must have its cables. If we cannot connect the device to the computer and charge the battery, we can’t accept the equipment. Replacing those cables is an expense we just can’t afford. However, we do take cameras without a memory stick. Those are cheap and we can buy one easily. At the school scanners are used frequently. Especially if a teacher is doing an All About Me unit. Many students will scan their baby pictures to use in their publications. As well, a Grade 8 Tribute presentation is created each year that requires old photos to be scanned. Scanners are a bit of a gamble. We can use them…but they don’t always work on our network. I just recently had a donated scanner that had old software and it refused to work with the student profiles. In the end, we could not use it. Once I can’t use it, then I have to dispose of it. Thankfully, getting rid of a scanner is much easier than getting rid of a CRT monitor. Never again! Servers can be expensive and one time we did decide to take a company’s old server to save money. This was not a good decision. You never want your server to fail. The donated server caused our network to fail more times than I like to count. After that horrible experiment, I have to say, if the server isn’t new, we just can’t take it. We likely won’t take the laptop. It’s not that the teachers can’t use them – because they can! However, most people are getting rid of their laptops because they are too slow or the battery doesn’t hold a charge. It is very difficult to swap components such as a network card or RAM in a laptop, so we can’t upgrade the equipment. In addition, laptop batteries can be VERY expensive. They cost almost as much as a new machine. We just cannot afford to make a laptop work on our school domain. It is just too much money. I created this checklist from experience. I told you about my poor server decision now you tell me yours. What donation did you accept that went wrong? You don’t need to have the latest equipment to have the greatest technology program. It is how you integrate technology into curriculum that enhances learning and improves teaching practice. Not the size of the hard drive. Our school does not have high-end, brand new equipment. Instead, most of the computers in the lab are older. Yet they are perfect for our purpose. Our students and teachers can offer a high-quality program without having the latest hardware. You DON’T need the latest equipment to have the greatest technology program. A high end machine is best suited to a person that is using multiple programs at one time, working with large video or picture files, or is a heavy gamer. The average student or teacher does not need a super computer. Instead, it is the innovative ideas you have for how to use technology in the classroom that matters! If you don’t know how to integrate the use of technology into curriculum it won’t matter that the hard drive is 1 TB, that you have 3 GB of RAM, or that the processor is 3 GHz. The students at our school use TechnoKids Computer Curriculum for their technology program. They complete meaningful projects that integrate technology into curriculum using Microsoft Office 2007. On any given day, the K-8 students are working on a range of technology-based activities. For example, today in the lab the Grade 2 class is creating an animal report using Microsoft PowerPoint, the Grade 5 class is completing their news article about a famous landmark using Microsoft Word, and the Grade 3/4 class is learning about digital citizenship and Internet skills. All this is taking place on computers that are about five years old. The students do not just use technology to complete TechnoKids projects. The equipment is used to promote learning in other areas. For example, part of school’s reading program includes the web-based Accelerated Reader Program. As well, the computers are used to research information, complete class assignments, and use drill and practice software. In addition, the teachers don’t just limit the use of the computers to teaching TechnoKids projects. Instead, they use them to gather information, prepare lessons, create handouts, write report cards, and communicate with parents and colleagues. All of this is being done with older equipment! Don’t wait until you have the latest super computer, gadget, or software. Start integrating technology into curriculum now! Today, the good news is that old technology is good technology. Are you looking to get rid of your old computer, laptop, or monitor? Before you dump it in the trash, consider a local school in your neighborhood. Many private schools are happy to accept your donations. I know we are! Today, old technology is good technology. Your computer that is three years old and only has 512 MB of ram is perfect! Your laptop that only has an 80 GB hard drive is excellent! Your old digital camera is wonderful! Your small 17″ flat panel monitor is fantastic! Yes, we will take it! Budgets are tight! Donated computer equipment allows the school to upgrade its equipment without having to spend a lot of money. We appreciate all hardware donations because they allow us to allocate our funds elsewhere. Typically, the money goes to areas where donations are not available, such as software licensing. There are two changes I will often make to the donation of a computer to improve its performance. No, I do not change the hard drive (unless it is smaller than 40 GB). The amount of space typically does not matter because the files are stored on the server. Where I make enhancements are the RAM and network card. I like to purchase inexpensive RAM sticks to bump up the memory of the computer. I also will invest in a gigabit network card to increase the rate of data transfer through the network. These upgrades typically cost $100. This investment is worthwhile because now the school has a machine that it can typically use for about three years. Companies typically turn over their equipment every three to five years. Back in the day, these older machines were junk. Today, there is a strong possibility this hardware is what your school needs! Does your school accept computer donations? What hardware will you accept? What hardware is not worth the headache?